Hafa Adai! 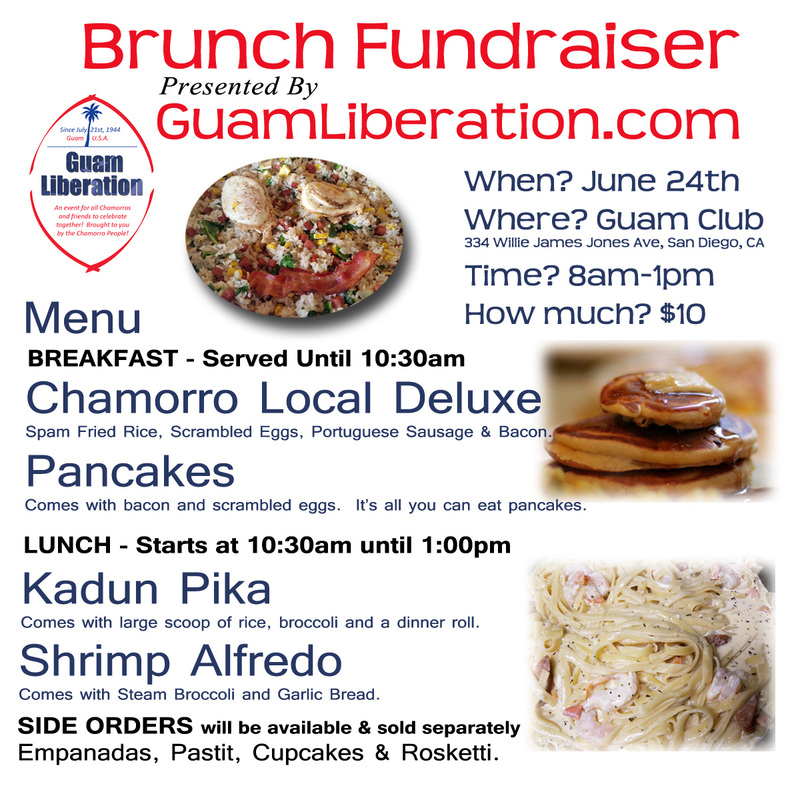 Come on out to our first Brunch Fundraiser at the Guam Club presented by GuamLiberation.com on June 24, 2018. Spam Fried Rice, Scrambled Eggs, Portuguese Sausage & Bacon. Comes with bacon and scrambled eggs. It’s all you can eat pancakes. Comes with large scoop of rice, broccoli and a dinner roll. Comes with Steam Broccoli and Garlic Bread. 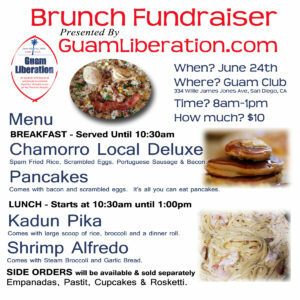 This entry was posted in Announcements, Events by Guam Liberation. Bookmark the permalink.